This function requires to have entered the data in the « timer » function, you obtain then the average speed table of the input speed. The distance and the ideal time are then highlighted in red according to your progression in the regularity. 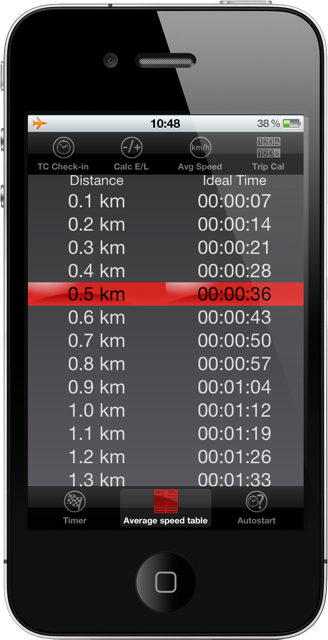 When you use the automatic mode of the timer, the background color changes every change of average and the new average is displayed in the center of the screen.